Life was good for The Allman Brothers. At Fillmore East had been a commercial breakthrough for the group. It was then recognized as one of the best live bands in the world and Duane Allman had ascended to the top rung of guitarists. Rolling Stone Magazine would place him at number 2 on its list of The Best Guitarists Of All Time. Everything came to an abrupt halt when Duane climbed onto his motorcycle on October 29, 1971. Shortly after, he was dead as a truck came to a halt in his path. Bassiet Berry Oakley would die just over a year later in a similar accident three blocks from Allman’s. Producer Tom Dowd would assemble Eat A Peach from studio tracks recorded before and after Duane’s death, plus live material left over from the band’s last album. 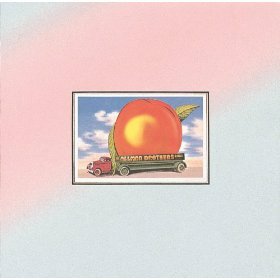 Eat A Peach was released on February 12, 1972. While it may not have been as consistent as some of its other releases due to its piecemeal approach, many of the songs when taken individually were brilliant and remain some of the strongest the band would produce. Just shy of four decades later, these tracks retain the brilliance and creativity that marked the original Allman Brothers Band. The center of the album was the debut of the 33-minute live “Mountain Jam,” which has since been added to the extended CD reissues of At Fillmore East. The energy that is maintained for a half hour is amazing, as it provides an eternal document at just how good the band was at this point during its career. Duane Allman does what he was born to do, and that is playing the guitar. While all the members take solos, it is Duane who soars during the last 10 minutes. The album’s first track, “Ain’t Wastin’ Time No More,” was written before Duane Allman’s death. It was a fitting tribute, as it deals with thoughts about immortality. Dickey Betts steps forward as the one guitarist in a two-guitar band. “Melissa” was a song co-written by Gregg Allman that dated back to his and Duane’s Hour Glass days. This old ballad has remained an important part of the group’s live show for decades. “One Way Out” and “Trouble No More” are both classic blues tunes. They both are live performances and find the band in its comfort zone as it presents solid interpretations. The final three tracks of the original double vinyl release were the last studio tracks featuring Duane Allman. “Stand Back” features Duane’s slide guitar technique and has a nice funky feel. “Blue Sky” is a Dickey Betts ballad, which contained his first lead vocal. Both he and Duane take solos. The album concludes with the only Duane Allman solo composition. The all to short “”Little Martha” is a wonderful acoustic piece featuring basically Duane and Dickey. Well, let’s see ….. Ariana Grade is 21 years old. She has been in two Broadway plays, starred in two successful Nickelodeon television series, Victorious and Sam And Cat, her 2013 debut album Yours Truly reached number one, and so far this years she has had three top ten singles. With all that in mind, it is probably a safe bet to assume that her just released second album, My Everything, will be a huge commercial success. Grande has one of those voices that is a gift. It has a natural soulful quality and a range that most singers can only envy. Even as a secondary character and singer to Victoria Justice on the hit series, it was immediately recognizable. She is now recognized as one of the leading lights of the newest pop generation and based on sales, she is a future diva in waiting. While she continues to evolve, she also has released an adult album of sophisticated and excellent modern day pop. My only real criticism of the album is her use or overuse of guest rappers, who appear on eight tracks. Taken individually, such guest artists as Iggy Azalea, Big Sean, and others fit in well but when taken together, it is a little overwhelming and a bit repetitive. Also, she has a voice that demands to be heard and hopefully in the future, she will just unleash it on song after song. That aside, overall the music has a cohesive feel and the changing tempos and styles will entertain and keep the listeners attention. The basic album is anchored by her two hit singles “Break Free” and “Problem” and if you go with the deluxe version of the album, you receive her other hit, “Bang Bang.” “Problem” has been in the top ten for well over a month and represents all that is good about pop music. The rap intertwines with Grande’s vocal and the sax provides just the right breaks. The track that jumps off the album is “Love Me Harder.” It is very grown-up and may look toward her future. My Everything finds Ariana Grande taking another successful step forward on the road to continuing stardom. It is an album that will appeal to her fan base and no doubt expand it as well. Eight years is a long time between albums, especially if it is your debut and sophomore effort. 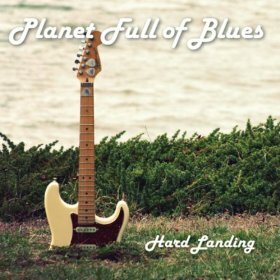 Planet Full Of Blues has finally returned with their second album Hard Landing. They have been road warriors who play a basic form of hard-driving blues. Their time on the road has enabled them to hone their sound into a melodic and emotional mix. They also have the advantage of being capable songwriters as all 11 tracks are original compositions. Bassist Ron Dameron and drummer Brock Howe form a solid foundation for guitarist/vocalist to build his sound. Tracks such as “Mashed Potatoes And Gravy,” “I Had A Dream,” “Snake Lady,” and “So Special” are energetic explorations of the blues idiom. Hard landing is a solid effort from a blue collar blues band. It is a fine introduction to Planet Full Of Blues. The Doors debut album sold over four million copies, and its number one single “Light My Fire” received massive radio airplay during early 1967. 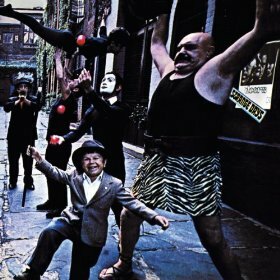 September of 1967 found The Doors releasing their sophomore effort, Strange Days. While the album would climb to the number three position on The American album charts, it would be far less commercially successful selling just over one million copies. Most of the material for Strange Days was written at the same time as their debut album, but for whatever reasons were not included. Beyond that fact the music is very different in places than their norm, it was very dark and took a decidedly psychedelic turn. The album jacket, which pictures an odd assortment of people to say the least, probably gives the best hint of what is contained inside. Still, the music resonates and in places mesmerizes. It produced no huge hit single, which may have hurt its initial appeal, and was not the grand affair of its predecessor but does have an intimate appeal which gets inside your brain. The two tracks which were released as singles were very different from one another. “People Are Strange” was dark and hypnotic with a number of tempo changes. It is a song which has grown on me over the years and now remains fascinating over four decades after its release. “Love Me Two Times” was Robbie Krieger’s attempt at a blues song. This light weight affair is almost unique within their catalogue. There were a number of other songs that can be described as either highlights or interesting; take your pick. “Strange Days” lyrics exemplify Jim Morrison’s poetry at its darkest and best. The psychedelic keyboards give the song a haunting atmosphere. “Moonlight Drive” was one of Morrison’s earliest compositions and, despite its dreaminess in places, explores the dark side of love. “Unhappy Girl” features some nice slide guitar by Krieger, but it was Manzarek’s keyboards recorded in reverse which made the song memorable. The eleven minute, minus two seconds, closer “When The Music’s Over” pales in comparison to the ultimate brilliance of “The End,” but Krieger’s, Manzarek’s and Desmore’s jamming and Morrison’s screaming over it all has a certain appeal. Strange Days is an acquired taste as it is just different from their other releases. In some ways it fits their legacy well as it is scary and primal. If you want to explore the music of The Doors, this is not the place to start but is an album that will need to be considered and visited. 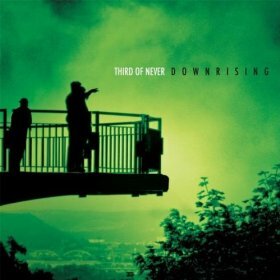 Third Of Never was formed during 2003 and they have just released their third full-length album titled Downrising. Guitarist/keyboardist Jon Dawson, vocalist/keyboardist/guitarist CJ Grogan, bassist Vince Grogan, drummer Mike Polilli, and vocalist/guitarist/keyboardist Kurt Reil have created a sound that fuses traditional rock with a retro psychedelic sound. The sound is simpler and more sparse than their previous releases. The textures remain but the layers are not as extensive as much of their prior material. Tracks such as “Green Roses,” “Man Without A Play,” “Life Saver,” and “Man Without A Plan” change tempos and are different enough to always keep it interest. They have also created a series of short connecter tracks under a minute in length which serve as transition pieces. Downrising may not change the course of rock music but track for track it is a very solid outing for a band about a decade into their career. 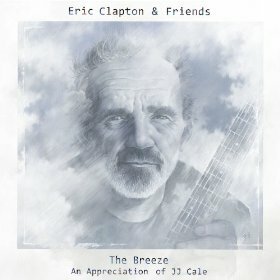 J. J. Cale was a contemporary and friend of Eric Clapton. His songwriting and bluesy swamp rock appealed to Clapton, who would record a number of his songs during the course of his career, including such signature tunes as “Cocaine” and “After Midnight.” In 2006 they combined their talents to create the Grammy winning album The Road To Escondido. Cale passed away during July of 2013 at the age of 74. To honor his old friend, Clapton has released a tribute album covering 16 of his compositions. Clapton gathered together such guitarists and singers as Tom Petty, Willie Nelson, Don White, John Mayer, Derek Trucks, and Mark Knopfler and creates a heartfelt tribute to his long time friend. Also on hand as a rhythm section are bassist Nathan East and drummer Jim Keltner. There have been good tribute albums and some very bad ones as well. I’m happy to say The Breeze falls on the good side of the ledger. In addition to his friends, Clapton made the wise decision to play guitar and/or sing on all the tracks. While he allows his guests to step forward, he is also present as a foundation for all of the songs. “Call Me The Breeze,” “Cajun Moon,” and “Since You Said Goodbye” are Eric Clapton tracks. He does not overwhelm the material but brings a laid back style that enhances the textures. The Breeze is a labor of love from one friend to another. It is a fitting memorial to J.J. Cale and does justice to his legacy. 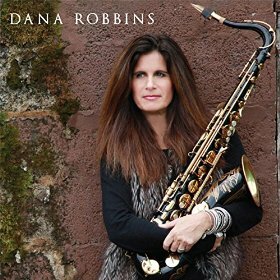 Dana Robbins is an artist you may have seen and heard without realizing it. She is a saxophonist who has been a part of the touring bands for Barry Manilow and Aretha Franklin, plus has played with such artists as Roger Daltry, John Mayall, Chaka Khan, James Brown, Steve Cropper, and Frank Zappa. 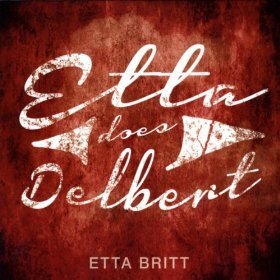 Her latest gig is touring in support of Delbert McClinton. During 2012 she struck out on her own as a band leader and released So So Good. She has now returned with her second self-titled offering. “Hardest Part” was co-written by McClinton and he delivers a soulful vocal on the ballad while Robbins fills in the gaps. Jimmy Hall is equally soulful on “Bless Your Heart” as Robbins matches his emotion with her saxophone. Dana Robbins continues to bloom as a band leader. Her latest album finds her not only producing good music but understanding how to put an album together. Back in the late 1960’s and 1970’s, if you had in the vicinity of $469.50, you could become a genuine recording artist. For a price, Designer Records, located in Memphis Tennessee, would record two songs for an artist and print up some records. When those records sold, they would press a few more. Every once in a while they would sign an artist to the label but usually they went the pay as you go route. Between 1967-1977, Designer produced close to 500 gospel singles and a few albums. Bus drivers, pastors, school teachers, farmers, and factory workers made the pilgrimage to Memphis for their shot at fame and fortune. 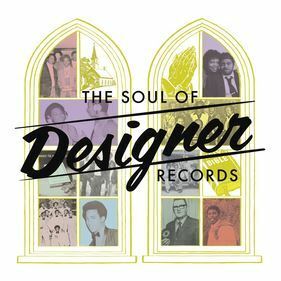 Much of the music has been unavailable for years but now Big Legal Mess Records, which has acquired the rights to the catalogue, will release the four CD, 101 song box set titled The Soul Of Designer Records in late September. This is gospel music at its most basic. The traditional combines with the psychedelic. They holler, they preach, they wail, they croon, and they chant. The music is passionate and is filled with raw emotion. Many of the artists gave up their dreams of stardom and quickly faded away. A few, such as the Jubilee Hummingbirds with future soul artists James Carr and O.V. Wright, went on to some commercial success. The obscure combine with the really obscure. The Twilight Singers, the Jubilee Hummingbirds, The Gospel Songbirds, and the Dynamic Hughes Singers have careers that extend to the present day. On the other hand nothing is known about Alberta Powell other than she recorded “Trusted” and “The Same God” for the label. Both were original compositions that featured a powerful blues guitar sound. The packaging is thorough and creative. The four discs are encased in a in a fold-out LP style container. The accompanying booklet is a historical masterpiece as it contains an overview of the label and recording process, plus a biography of many of the artists. The sound is better than one would expect from an independent studio of forty or so years ago. It doesn’t get much more Americana than the artists who traveled to Memphis to plunk down their hard earned cash to record a couple of tunes. Gospel music reaches out into rock, soul, and the blues, and elements of all those styles can be found among the box sets 101 tracks. The Soul Of Designer Records is a trip back in time. The material collected here presents a variety of styles and a lot of good music. It may not be music for the faint of heart or spirit but it is an excellent look into an often overlooked part of the American music scene. Jon Auer and Ken Stringfellow formed the Posies in 1987. During 1989 they self-released their debut album on cassette, which they basically sold at their concerts. They were eventually signed to a recording contact and have released seven studio albums to date. Stringfellow and Auer have remained the constants in the band as the bass and drum players have changed several times during the course of their career. The band has remained somewhat active since its inception, despite the fact that the two founding members spent 12 years as a part of Alex Chilton’s Big Star, in addition to their pursuit of solo careers. Omnivore Recordings has now reissued their debut album, complete with eight bonus tracks. Failure is certainly not as smooth as many of their later albums but its raw nature is part of its appeal. Their perfect harmonies are present as is their ability to write personal and relevant lyrics. The production leaves something to be desired but given the original recording process, it gets by. They were one of the better examples of late 1980’s and early 1990’s power pop. The ability to combine their voices into wonderful harmonies has been compared to the Hollies. That vocal sound was fused into a powerful guitar sound, which is especially apparent when they are in acoustic mode. “The Longest Line” is an example of all that is good about power pop and the Posies. An acoustic beginning and tight harmonies evolve into an upbeat and melodic track. “What Little Remains” are their harmonies at their best. The eight bonus tracks are divided between four instrumentals and three demos of songs that were originally on the album. It is interesting to hear the transformation of “I May Hate You Sometimes,” “Paint Me,” and “Like Me Too” from demo to completion. The highlight is a live version of “Believe In Something (Other Than Yourself),” which presents their early concert sound. Failure was recorded in a basement by two neophyte musicians, which shows that anything is possible. 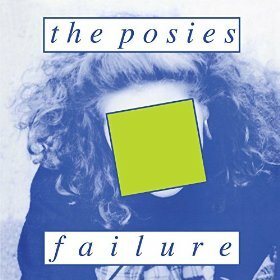 The Posies have always had a rabid fan base but large commercial success has eluded them and their debut album. The resurrection of Failure gives the album a well-deserved second chance.